I’m just about finished with my ballot, and I feel like I’m in sixth grade having just slogged through a standardized test. While I really would appreciate your consideration for my Jazz Ensemble and Composition entry, tonight I have a new agenda. Where social networking has emerged as the primary method with which to get the word out on one’s record, this process has become overwhelming and difficult. There now are an enormous number of entries in many categories, and managing one’s social network is a full-time job. Yet, as you probably know, some categories were merged with others, or eliminated altogether. The Large Jazz Ensemble category has been under-represented in past years, and when that has happened, only three CD’s made it to the second ballot. I’m also assuming that the number of votes in any one category matters also. This is bad for business. Fortunately, there are about 30% more entries in Large Jazz Ensemble this year than last year, but that to me is fewer than I believe it should be. The other jazz categories have hundreds of entries. I believe that the more the merrier, and that all independent artists and small labels need to work as a community to get their message out, so all the music can be heard. Since NARAS does not publish “for your consideration” downloads, it’s up to us to use 365, Facebook, and other networks to promote our work. In the end, your full participation benefits everyone. As we say in LA, “it’s all good”. And if you have, or know if a large jazz ensemble that has recorded, encourage them to submit next year. This year vote early and often. Thanks to Maria Schneider for bringing this issue to my attention, and thanks to you voters for your attention and participation in this process. But as Don Corleone said in GF1: “… but I have selfish reasons…”, and I will now plug my entry. Some members who I contacted last month are confused about my second category; I had broadcasted my entry info before the ballot came out, and now it’s a little different for the Inst Comp entry. “Hudson City Suite” by the Scott Healy Ensemble is a fifty-six minute, nine movement suite of original music for 10 and 11 piece jazz ensemble, and is entered in two categories: Best Large Jazz Ensemble and Best Instrumental Composition for track #8, “Koko on the Boulevard”, featuring Tim Hagans on trumpet and a band of LA and NYC’s finest. 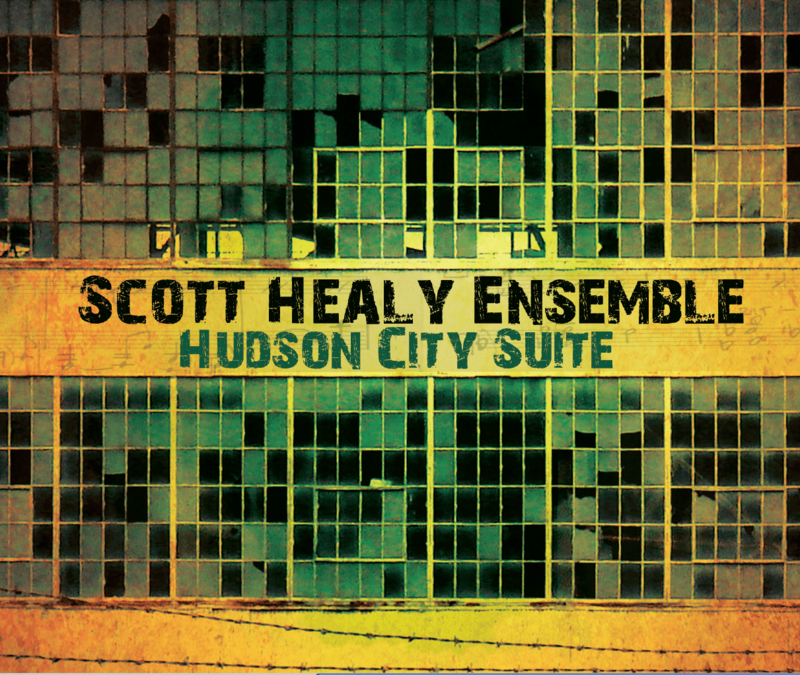 “Scott Healy’s Hudson City Suite unites past and present musically as well as conceptually, bridging traditional big-band swing with lithe jazz modernism. -Downbeat Magazine.